Developed in partnership with anti-homelessness organization Project H.O.M.E. Common Ground is a permanent public art project developed in partnership with anti-homelessness organization Project H.O.M.E. 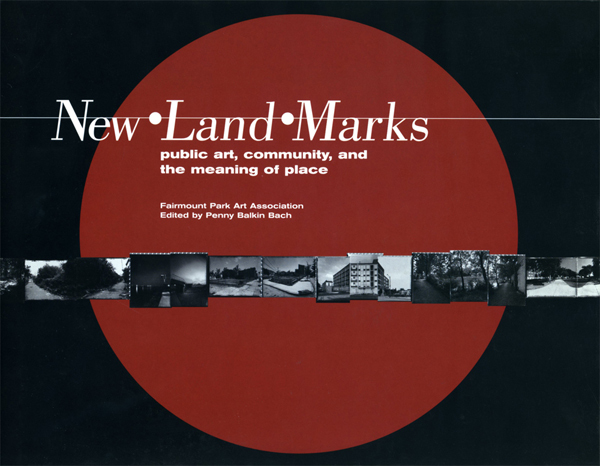 through the Fairmount Park Art Association’s (now the Association for Public Art) New•Land•Marks program. 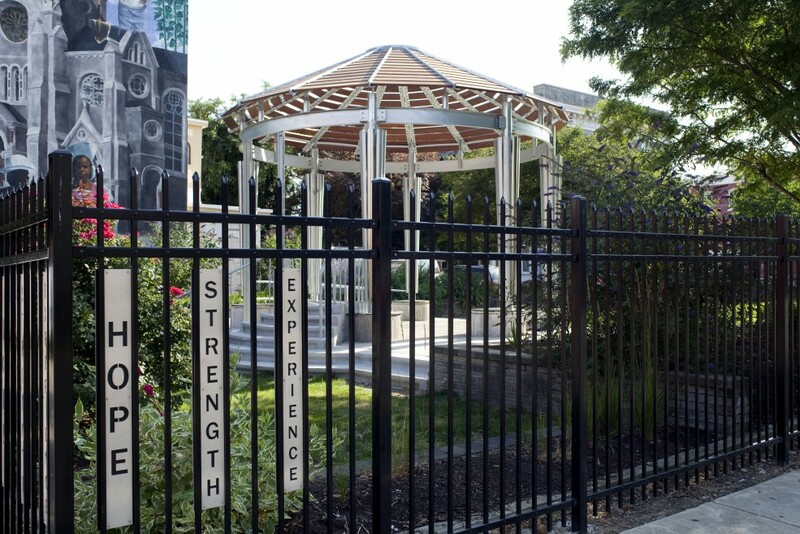 Created by artists John H. Stone and Lonnie Graham in collaboration with author Lorene Cary and consulting architect George Claflen, the project is located at St. Elizabeth’s Community Center at 23rd and Berks Streets in North Philadelphia on the “footprint” of St. Elizabeth’s Church, which was destroyed by fire in 1995. 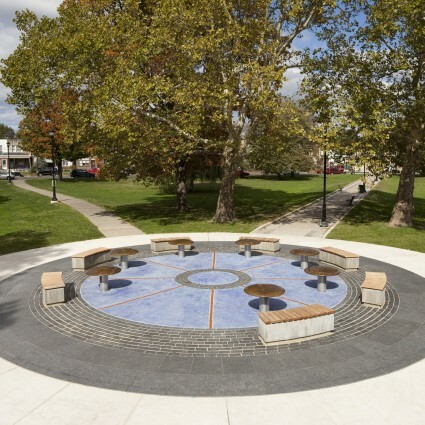 Common Ground was completed and dedicated in June 2009. Common Ground consists of three parts: the Sanctuary, the Inspirational Gateway, and the Common Room. 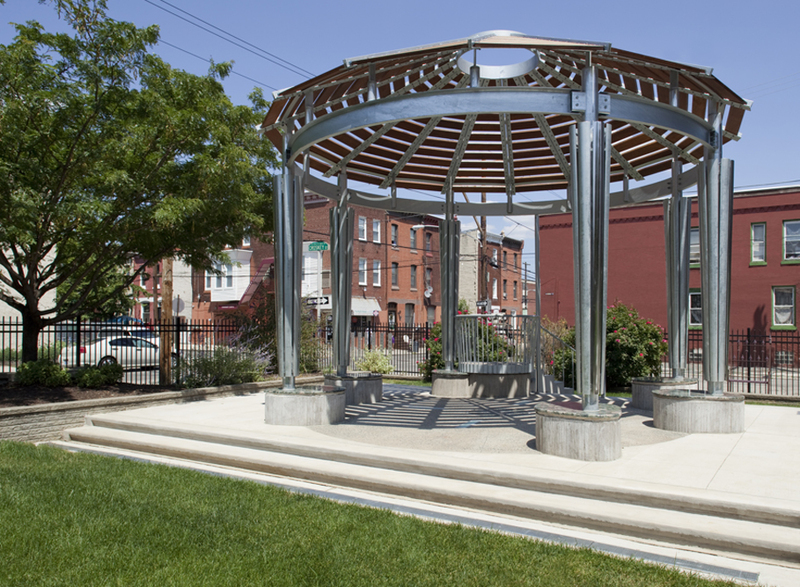 The centerpiece of Common Ground is an open-air Sanctuary that rises where the altar of St. Elizabeth’s once stood. 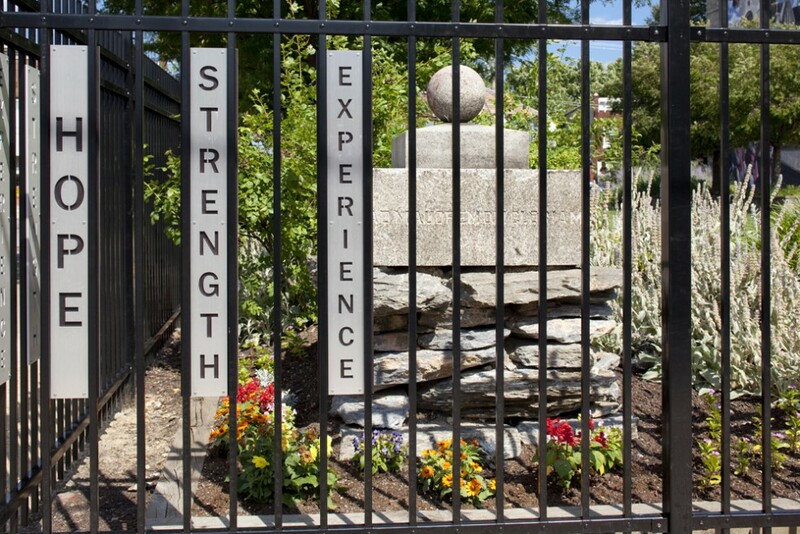 Surrounding the site is an Inspirational Gateway, a customized fence that incorporates the words “Hope”, “Strength”, and “Experience” – key concepts for many participants in Project H.O.M.E.’s comprehensive programs. The Common Room, located inside the former St. Elizabeth’s rectory, is an indoor meeting space that has been redesigned by the artists and includes handmade light fixtures, photographs, and quotes from elder community members, and a white oak table crafted from a single plank of wood rescued from a farmhouse in Pennsylvania. Together, these elements provide new meeting places for the Project H.O.M.E. 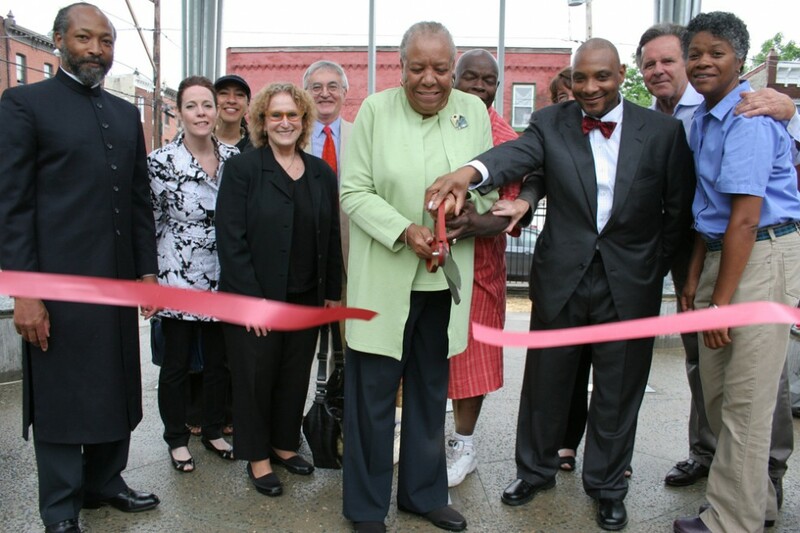 community to gather, reflect, and celebrate the neighborhood’s history, people, and ongoing revitalization. 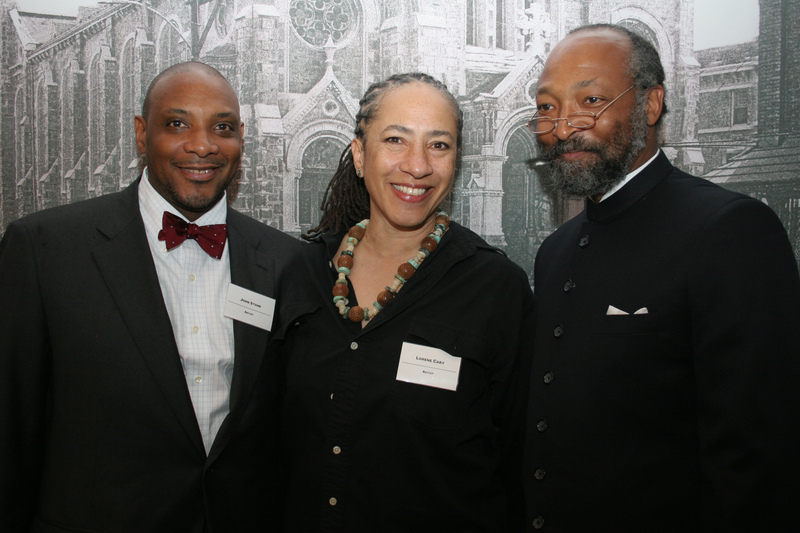 The three renowned African-American artists involved with the project each have close ties to the St. Elizabeth’s community. Sculptor and designer John Stone had worked in the past as a construction manager at Project H.O.M.E. and helped clear out St. Elizabeth’s Church before its demolition. 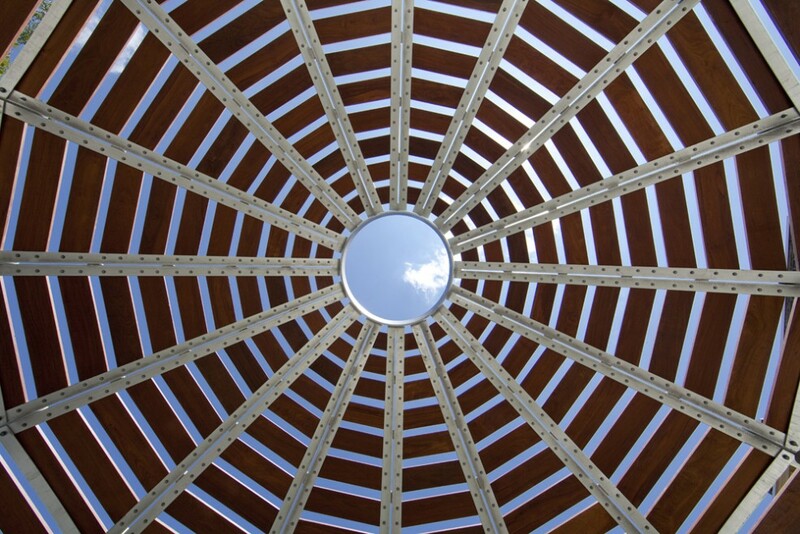 His past exhibits include Philadelphia venues such as the Levy Gallery at the Moore College of Art and Design. Writer and activist Lorene Cary is the award winning author of The Price of Child and founder of Art Sanctuary at the nearby Church of the Advocate. 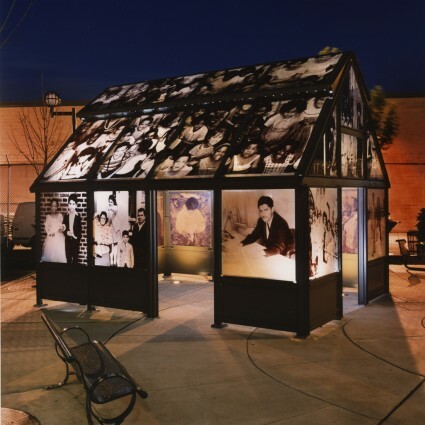 Lonnie Graham, who was named Pennsylvania Artist of the Year in 2005, is an internationally exhibited photographer who has been capturing images of the neighborhood for years. Artists John Stone, Lorene Cary and Lonnie Graham. Photo Harvey Finkle © 2009 for the Association for Public Art. 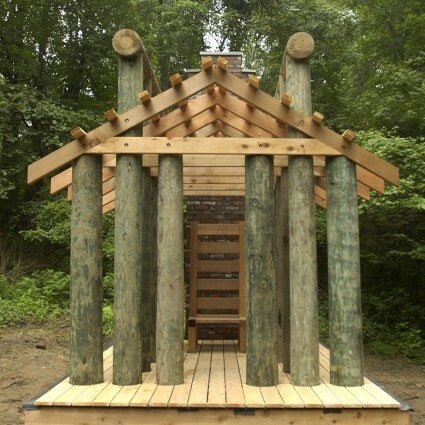 Common Ground was commissioned through Fairmount Park Art Association’s program New·Land·Marks: public art, community, and the meaning of place program which brings together artists and communities to plan and create new works of public art for Philadelphia. Common Ground was made possible with the generous support of The William Penn Foundation, National Endowment for the Arts, Samuel S. Fels Fund, The Barra Foundation, The Christian R. and Mary F. Lindback Foundation, Union Benevolent Association, The Honickman Foundation, Connelly Foundation, Dolfinger-McMahon Foundation, Macy’s Foundation, and an anonymous donor. Inspirational Gateway with Sanctuary in the background. Photo Gregory Benson for the Association for Public Art. Inspirational Gateway. Photo Gregory Benson for the Association for Public Art. Sanctuary. Photo Gregory Benson for the Association for Public Art. Common Room. Photo Gregory Benson for the Association for Public Art. 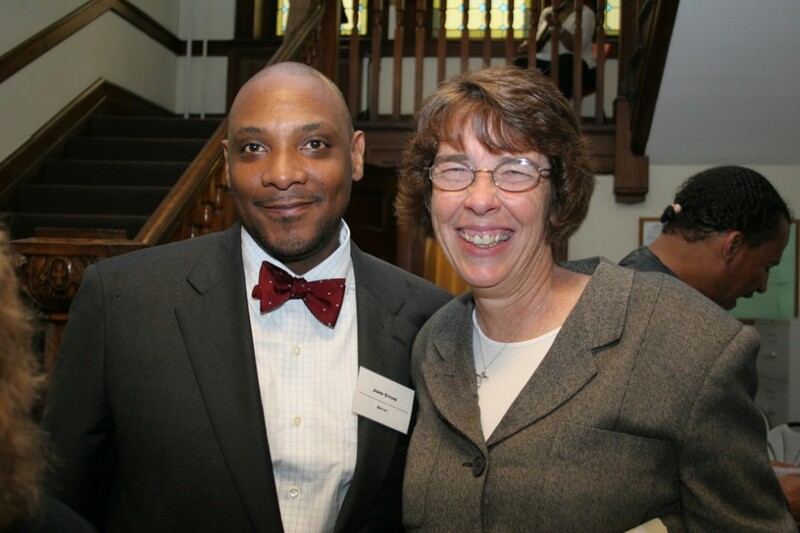 Artist John Stone and Sister Mary Scullion of Project H.O.M.E. Photo Gregory Benson for the Association for Public Art. Dedication Ceremony for Common Ground. Photo Gregory Benson for the Association for Public Art. Dedication of “Common Ground” for Project H.O.M.E.